Lagos, the former capital of Nigeria has been ranked the fourth wealthiest city in Africa. With no other Nigerian cities listed in the ten-city fortune club, the nation’s commercial nerve-centre automatically clinches the wealthiest spot among Nigerian major cities. The Nigerian state is unofficially believed to be most populous too in the country. 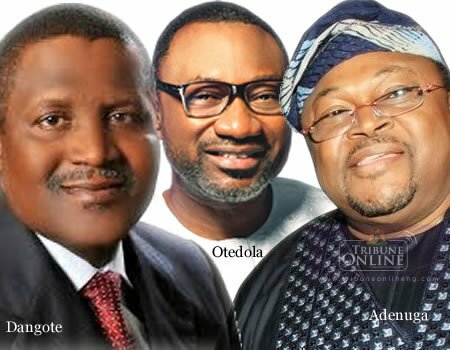 Four billionaires in dollars are mentioned to be resident in Lagos, with 360 multi-millionaires and 6,800 millionaires. Two Forbes-recognized wealthiest Nigerians, Femi Otedola of Zenon Oil and Mike Adenuga of Globacom reside in Lagos. Africa’s richest man, Aliko Dangote also has investment in the city. Cities ranked below Lagos include, Nairobi in Kenya, Luanda, Durban, Pretoria, Casablanca and Accra. While Nigeria, Ghana, Morocco, Egypt, Angola and Kenya have a city each to their fortune consideration, South-Africa has five of its cities listed, making it the richest country in Africa. 0 Response to "See The Number Of Billionaires, Multimillionaires & Millionaires Lagos Has"